Art by Ryan Harrington. Jet Pack Guy (Color Version), Cloudwrangler Comics, 2017. Art by Phil Murphy. 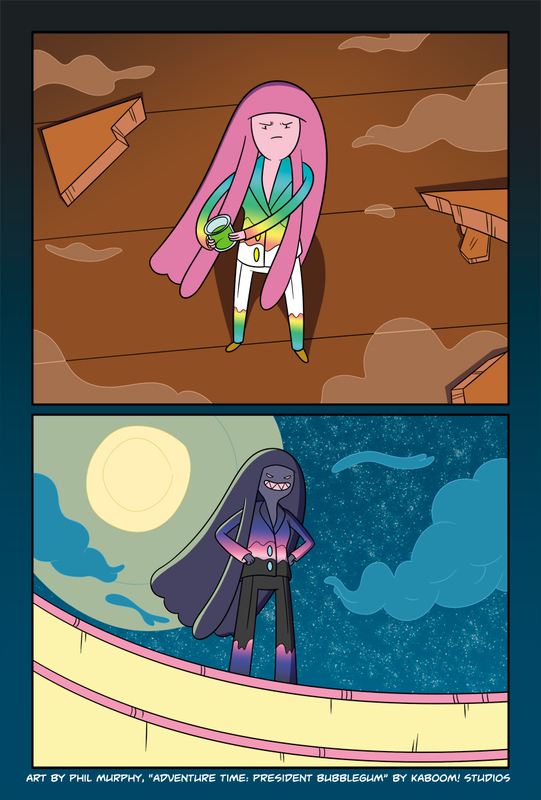 Adventure Time: President Bubblegum, Kaboom! Studios, 2016. Art by Zachary Sterling. 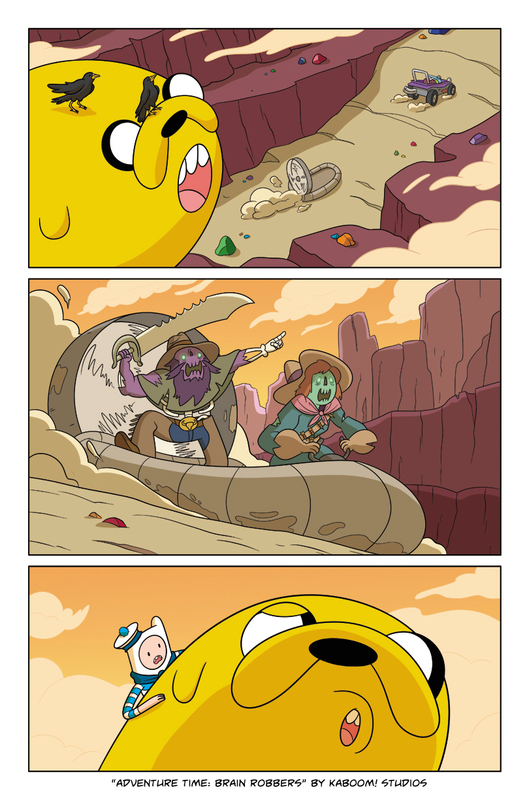 Adventure Time: Brain Robbers, Kaboom! Studios, 2017. Riddles, Wishes, and Sphinxs, Oh My! Art by Savanna Ganucheau, Lumberjanes: Makin' the Ghost of It, Boom! Box Studios, 2016. Art by JJ Harrison, Clarence: Chicken Phantom, Kaboom! Studios, 2015. Art by Matt Smigiel, Clarence: Chicken Phantom, Kaboom! Studios, 2015. Heavenly Kibble Guardian Corgi Issue 3, HeyJoie Comics, 2017. The Ladybugs Anthology #2: The MANthology, Comic Bug Publishing, 2017. Art by Mad Rupert. 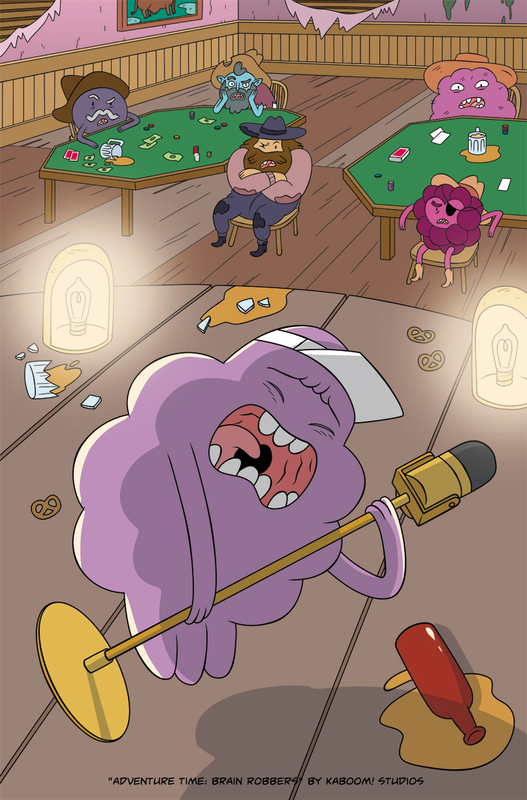 Clarence: The Essentials, Kaboom! Studios, 2014. Written by Becky Tinker. Everstar Volume 1, Thrillbent Comics, 2014.